Supermarkets boosted their sales by 40-50 percent through the Reunification Day (April 30) and May Day weekend. The Big C Thang Long Supermarket in Hanoi was crowded over the holiday weekend. Co.op Mart and Big C supermarkets were overloaded with buyers for both two days. 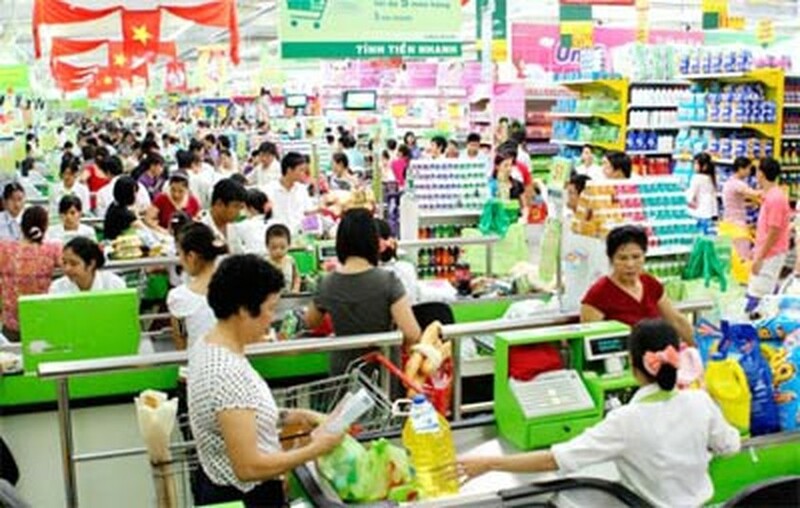 Nguyen Trong Tuan, director of Big C Thang Long Supermarket in Hanoi, said his store received 70,000 buyers on April 30, double its usual daily number. At the same time, sales at traditional markets decreased slightly. Sales of fresh foods including vegetables, fruits, seafood and poultry didn’t increase in the way vendors had thought they were. Despite all the supermarket buying, prices remained stable through the holiday weekend.